The L20T-112 - a boutique 20 watt Parallel, Single-Ended, Class 'A' tube combo loaded with a 12"Celestion G12H 70th Anniversary driver. Designed and engineered with pride in Great Britain, The Lionheart L20T-112 is a 20 watt Parallel, Single-Ended, Class 'A' all-tube combo giving a great range of clear, crisp, dynamic guitar tones through it's Celestion G12H 70th Anniversary speaker. With less emphasis on preamp distortion, the L20H lets you hear and feel the power tubes clipping to breakup, giving a much richer harmonic content and a larger dynamic range. Pushed really hard, the sonic punch and clarity of the L20T-112 is excellent. The L20T-112 features a chrome twin channel pre amp with a Bright switch, shared 3-band EQ, global Tone and Studio-quality Digital Reverb. Constructed from Marine Grade Plywood with retro banding strip and leather strap handle, the L20T-112 looks as good as it sounds. The L20T-112 features a switchable FX loop so you can connect the outboard gear of your choice. 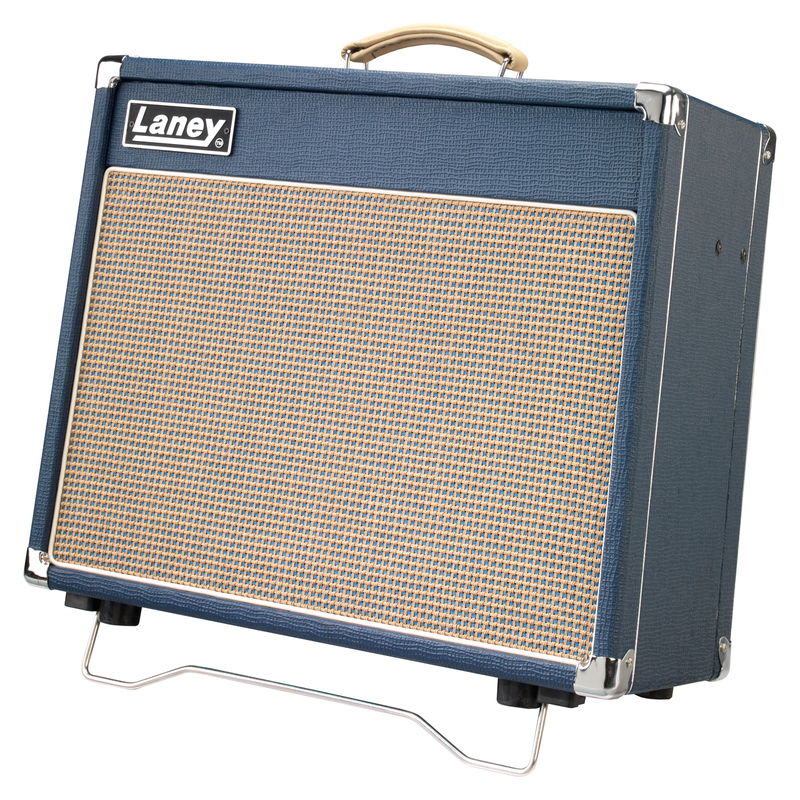 The L20T-112 has a folding tilt back mechanism to give you the optimum on stage sound. The L20T-112 is supplied with a stylish Lionheart cover and FS2 footswitch.